Q. How did the Museum collection start? The collection started with the donation to the Springville High School of "Mountain Stream" by John Hafen and "Paul Revere" by Cyrus Dallin in 1903. This inspired the high school to start collecting art, and thereafter graduating senior classes donated a work to the Museum every year through fundraising efforts. To learn more, please read about the history of our collection, found under the "About" page. Q. Where do you keep artwork not on display? Only approximately 15% of the Springville Museum of Art's permanent collection is on display at one time. Pieces that are not on display are stored in our secure vaults. If you'd like to see a work that is not on display please contact the museum's collection manager at hbarrett@springville.org, at least 1 week in advance of your visit. Q. Where does the Museum get its artwork? We acquire our art for our permanent collection through gifts, purchases, and trades. Q. How does an artist display artwork at the Museum? An artist may enter an annual juried exhibition, and their artwork may be juried in or out of the show. The All-State High School Exhibit (juniors/seniors, February). As an artist, if you're interested in receiving information about juried shows, visit our website, or leave your contact information with museum staff to receive call-for-entry forms for juried exhibitions. Q. How do I get my own exhibition at the Museum? Exhibitions at SMA are curated and managed by the SMA staff. 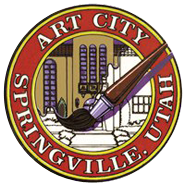 If you would like to be considered for inclusion in upcoming curated exhibitions at the Springville Museum of Art please fill out this form: https://secure.lglforms.com/form_engine/s/4cBRu_G2MwksAoT1pI79Rw. Q. Why was my artwork not accepted into the Spring Salon? The Spring Salon is an increasingly competitive exhibition, and from year to year the jurors vary. When you come to pick up your work, ask at the front desk if a member of the curatorial staff is available to speak with you about your work. They may have some helpful insights. Q. Is any of the artwork in the Museum for sale? In our juried exhibitions, the artist may decide whether to sell their art. In the event that a piece is for sale, there will usually be some indicator on the text label next to the piece. "NFS" stands for Not For Sale, which means the artist has chosen to not sell their work. Oftentimes works in our temporary curated exhibitions are often listed for sale. Please ask the front desk for a price list. Our permanent collection is not for sale. Q. Why does the Museum have a collection of Russian Art? We collect and exhibit twentieth-century Russian art because of its historical significance, high quality, and compelling figurative and issue-based themes. These works contrast well with the landscape and decorative themes prevalent in the Utah school. We believe Russian art possesses valuable lessons beneficial for Utah artists. This powerful art teaches about the power of the human figure in telling the drama of civilization and the common nature of mankind. This art was available and affordable at the time our former Museum director Dr. Vern Swanson was looking to expand our permanent collection. Dr. Swanson seized the opportunity to strengthen the Museum's collection with the inclusion of Russian art. Q. Do you have any French impressionists? No. However, the Museum does have fine examples of American impressionism from our Utah and American collections, and we also have major holdings in Soviet impressionist painting. Q. Why can't I touch the art? We want future generations to enjoy and learn from our art collections. Many of the works are fragile, and a small touch could cause a work to crack or peel. The oils in our hands can also cause damage. Q. I want to see a specific painting at the Museum, how do I know if it is on display? Contact a member of the Museum's curatorial staff at 801-491-5705 or hbarrett@springville.org If you’d like to see a work that is not on display please contact the museum’s collection manager at hbarrett@springville.org, at least 1 week in advance of your visit. Q. How far should viewers stand from artwork? Viewers should stand an arm's length away from the artwork, or roughly three feet. Q. To whom do I direct questions about artwork or artists? The curatorial staff can answer questions regarding artists, exhibitions, and the permanent collection. The curatorial staff can be reached at 801-491-5702.